In our quest to provide the best, comprehensive, integrated solutions, we work with partners from all over the world. From sourcing technology, integration, execution to maintenance, we do it all. From designers to ground level engineers, our team of experts is well-rounded to perfectly execute every project, on time. Our collaborations with international industry leaders give us the superior advantage of precision and quality. With our rich experience, we are capable and enthusiastic to be a one-stop-shop for Smart City Integrations in the area of Smart Mobility for Government of India and its executive corporate arms. Leadership over two decades in providing complete ground level execution in Indian geopolitical reality. Specific focus on integrations of wide variety of parameters. Deep rooted relations and understanding of challenges encountered in executing Traffic Management & allied projects covering mechanical, electrical, electronics & civil engineering works. In-time completion of projects with quality, using efficient planning and predictive management techniques to subjugate any peripheral disruptions. On-site and off-site teams of highly skilled technical personnel with ground level execution expertise and vast experience in Traffic Management Projects. Imagine living in a city where conversations about traffic are about time saved and not wasted. Where travel is uninterrupted, vehicular pollution minimum, noise pollution controlled and progress easy. We aim to make this a reality. "Enabling future cities through innovation in technology, integrity in operations and excellence in execution"
"Being a preferred partner for providing mobility and safety solutions to the future smart cities of the Indian subcontinent"
Dhaval is widely travelled and has established business partners in countries as Austria, Australia, Netherlands, Denmark, Italy, Turkey, Spain, Taiwan, Thailand, China etc. 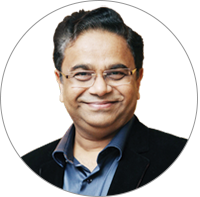 Dr. Sanjay Sonar is a highly reputed and honoured professional biotechnologist and is founder director of BioGenomics. Dr. Sanjay Sonar holds a Ph.D. from the Indian Institute of Technology (IIT) Powai, and has worked with several Nobel laureates such as Prof. Har Gobind Khorana, of MIT, USA during his post-doctoral stint. 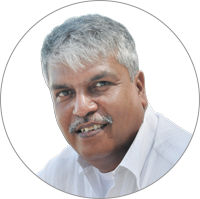 Dr. Sonar brings his passion for science and research to Trafitek and guides the Board in the areas of strategy and business planning. 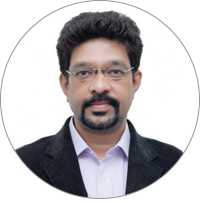 Mr. Vijay Chandorikar is a practicing Management consultant and specializes in the areas of process improvement and interventions to enhance profitability of organizations. Vijay has a career spanning 30 years in large organizations and MNCs in the financial services and automobile industry and directs globally for improving processes and profitability across the automotive retail world.